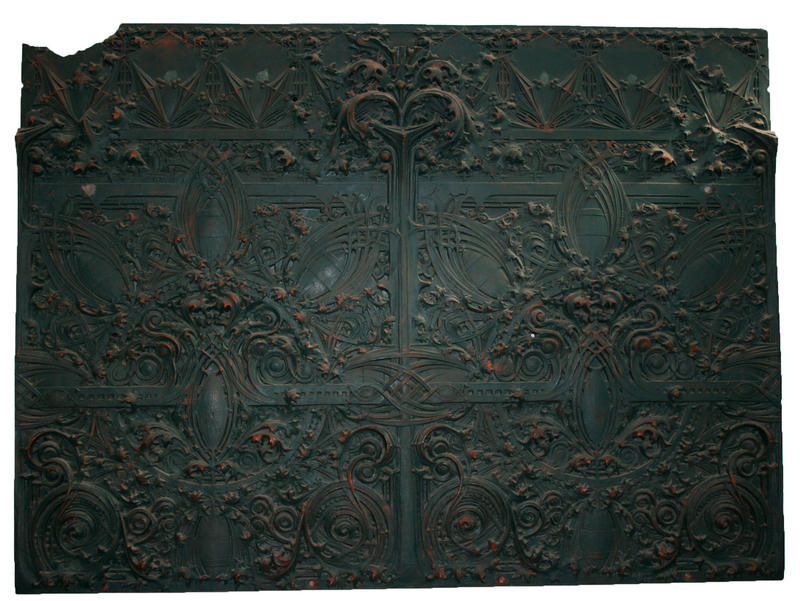 Louis H. Sullivan created these cast iron panels between 1898 and 1899. The "Gage Building Panels" span 54' x 40.5' and 51' x 67.5' of the Architecture Building entrance lobby. 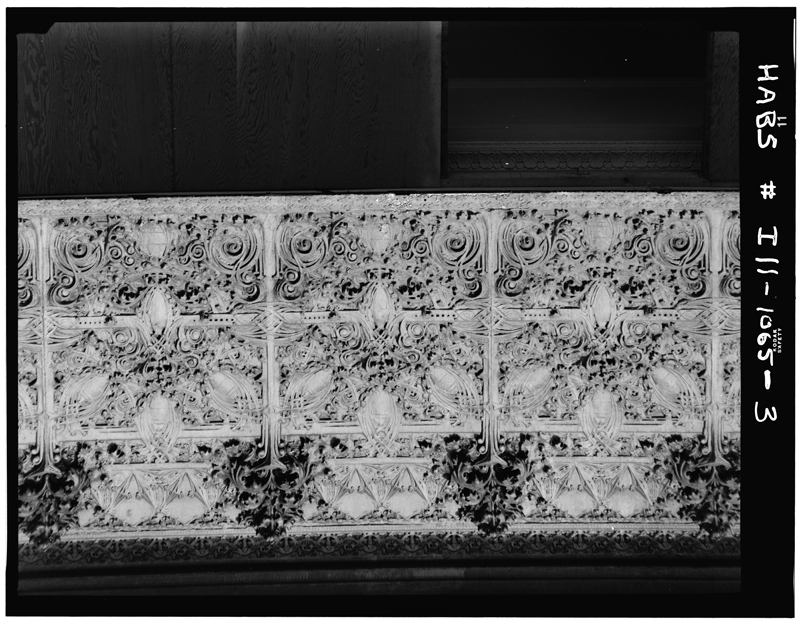 The cast iron panels on the east and west walls of the entrance lobby to the Architecture Building are from the facade of the Gage Building, 18 South Michigan Ave., Chicago, IL, designed by Louis H. Sullivan and erected in 1888-1889. The three buildings numbering 30, 24, and 18 were designed by Holabird and Roch to be occupied by wholesale millinery firms. Gage Bros. & Co. were to occupy the northernmost of the three (No. 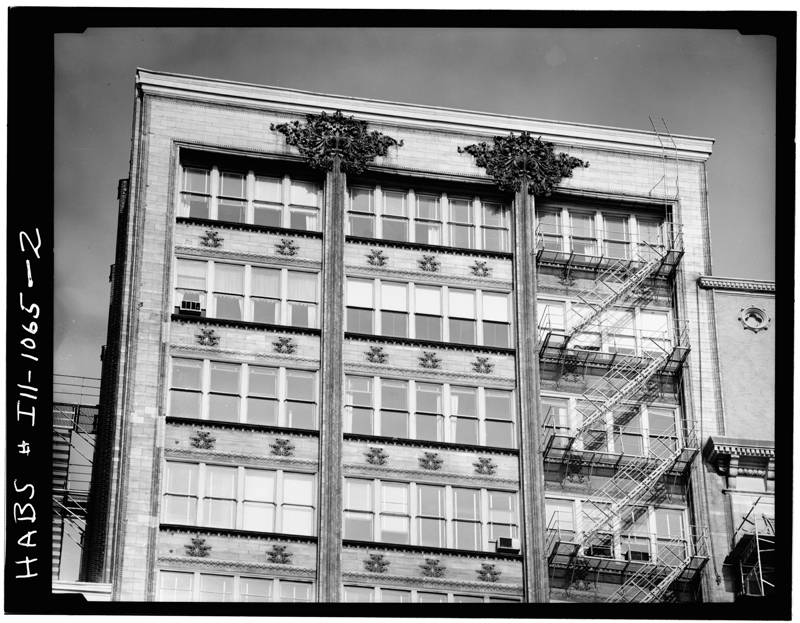 18) and were willing to pay more rent in order to have a façade designed by Louis Sullivan, believing that such a design would benefit their business. George C. Elmslie, Sullivan’s chief draftsman, worked out the details of the panel ornamentation under Sullivan’s supervision. The building was originally eight stories in height, but four additional stories were added in 1902. 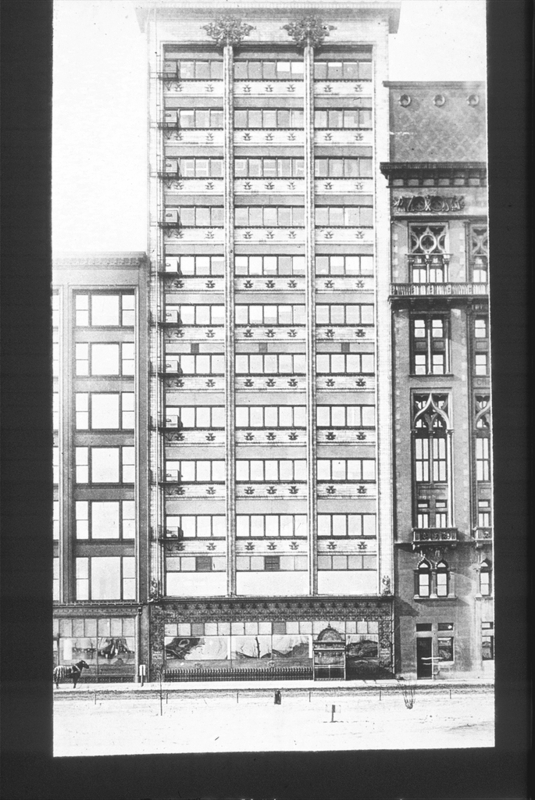 The panel on the east wall was one of six removed from the building and acquired by Mr. Henry Dubin, a graduate of the University of Illinois Urbna-Champaign Department of Architecture (1915) and given by him to the department in 1956. The panel on the west wall was obtained through the good offices of another graduate of the department, Mr. Frank Davis (class of 1988), who was with the architectural firm Graham, Anderson, Probst and White at the time the panels were being removed in 1952. 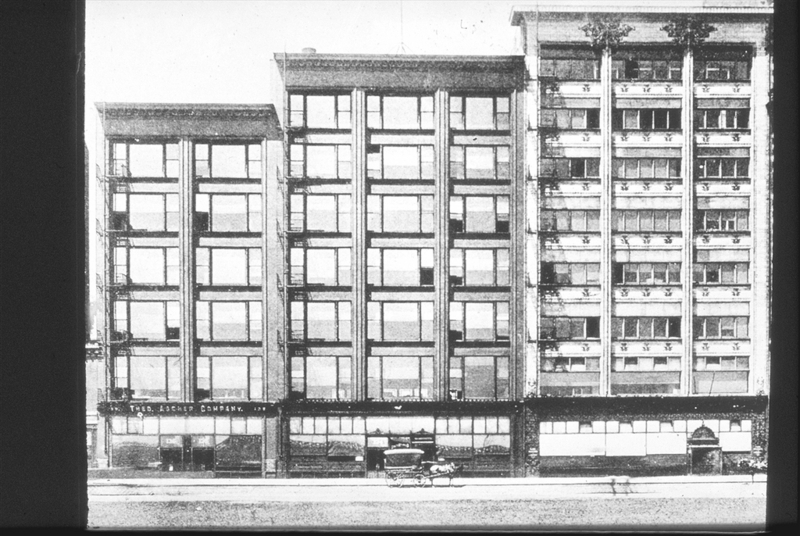 Louis Sullivan coined the phrase “form ever follows function” in his article “The Tall Office Building Artistically Considered.” This principle shaped the thinking of modern architects in the late nineteenth and early twentieth century, and addressed the thinking that ornamental elements were superfluous, and should be secondary to the functional attributes of the building. However, Sullivan often added Art Nouveau decoration to the plain surfaces of his buildings. These decorations were usually in cast iron or terra-cotta, and usually contained motifs ranging from organic forms such as vine and ivy to geometric designs. 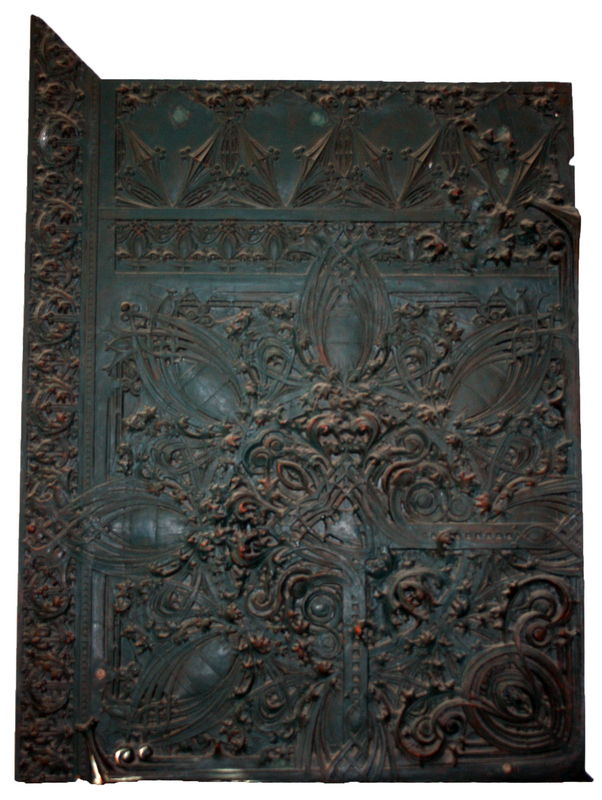 One of the most famous examples of the green ironwork ornamentation is from the Carson Pirie & Scott Building that faculty used as an example in the restoration of the Gage Building panels. These decorations would eventually become Sullivan’s trademark. 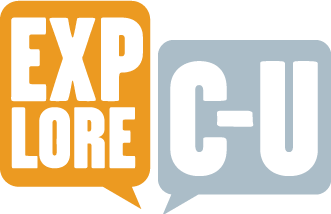 “Gage Building Panels, 1898-1899,” ExploreCU, accessed April 21, 2019, https://explorecu.org/items/show/196. Wall text (n.d.). Gague building panels. Architecture Building, Champaign, IL. Sullivan, Louis H. (March 1896). The Tall Office Building Artistically Considered. Lippincott’s Magazine #57[SD1] Louis Sullivan (n.d.). In Wikipedia. Retrieved January 31, 2013 from http://en.wikipedia.org/wiki/Louis_Sullivan Scheinman, Muriel. (1981). Art collecting at the University of Illinois. Urbana, Illinois: the University of Illinois Urbana-Champaign.